We're the largest independent SME finance provider in the UK. We’re a business built on firm principles and have been delivering excellence to our customers for nearly 30 years. We aim to take the stress out of arranging finance by proactively dealing with any suppliers on your behalf while maintaining close contact with you. 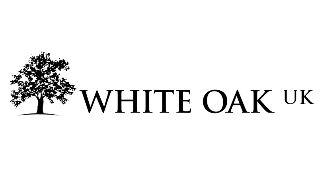 With over 25 years’ experience within the B2B financial sector, White Oak UK has built up considerable experience across a broad section of industries and professions. We provide unsecured, fixed rate business loans and asset finance facilities to businesses in the UK. Our quick and straightforward finance process enables us to take business from origination to pay out in as little as 24 hours. As well-established market leaders, we have a wealth of knowledge and strive for excellence in all we do. Strong values and customer-focused principles are at the heart of our business, enabling us to deliver a positive customer experience based on integrity, fairness and professionalism. "I would like to pass on my thanks for the invaluable help and guidance you have given with the short term funding arrangements we have utilised. We have been impressed with the speed and ease of the application. All-in-all a very pain-free experience." "I have dealt with White Oak UK for over 10 years and have always found the services they have provided excellent. Their consultants understand my businesses’ needs and requirements and have been able to source quickly and efficiently the funds requested. Their support to my firm over the time I have dealt with them has been invaluable." At the Business Moneyfacts Awards 2016, White Oak UK received a ‘Highly Commended‘ award in the category of Best Alternative Business Funding Provider, a huge achievement for the business. The commendation is testament to the growth of White Oak, our increased funding capabilities, the dedication of our people and the support of our loyal clients and partners.